What do you get when you once believe you’ll be bigger than Radiohead, but end up after seven years skint, demoralised and in debt to the tune of £1.2 million? You give up, that’s what. 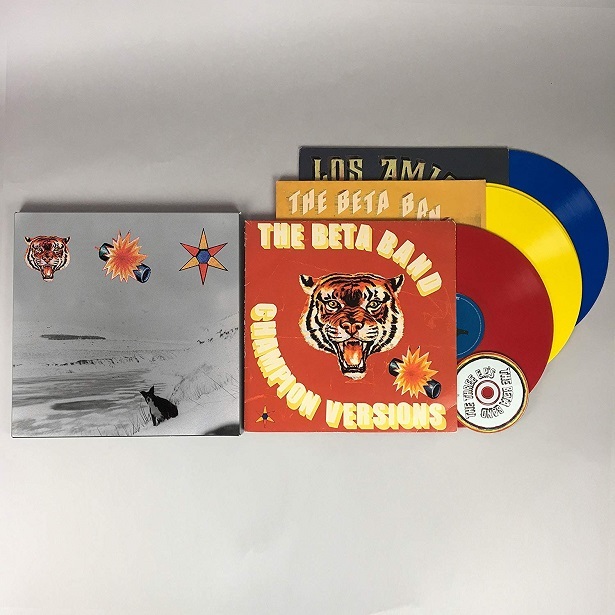 If kind words were pounds The Beta Band would’ve been gazillionaires; they could hardly leave their flat without being critically adored, to the point that they were even fanboy-namechecked by John Cusack in the hit movie High Fidelity. And yet, emerging at the sputtering end of Britpop, they failed to find the sort of niche Thom Yorke and his miserabilist troupe carved themselves into shifting enough units to no longer care, despite their absolutely punk ethics and determination to make art triumph over commerce. The Three EP’s is definitively the place to start your journey with them – regardless of format – a collection which swoops from the sublime to the outlandish and knowing, a calculated, avant-bonkers mess toting lyrics which were gleefully unrelateable; ‘Fat girl ticklish/Crazy Miss Stimulus/Falling on your face with your stupid line brace/Saying, Pop goes the weasel as he paints another easel’”. Weary of not being got by record company execs and of each other, the quartet dissolved rather than split up, their essence captured in these records on which they made the free-range eclecticism of Beck feel like it was stolen from old Caledonia. I had considered purchasing this reissue. Looks pretty.